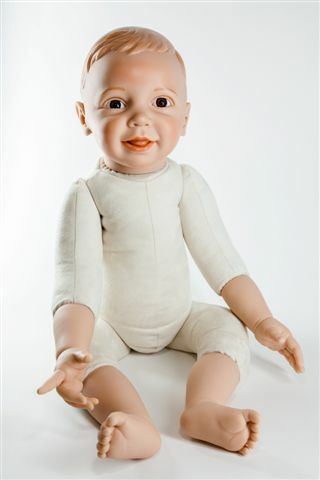 We are a German doll manufacturer specialized in demonstration dolls. Demonstration dolls can be used in a lot of various ways. For baby wearing classes, product demonstrations such as wraps or carriers, baby massage classes, display of baby clothing, product testing, photogaraphy and many other purposes. Because of this variety of use cases our dolls are customized and made to order. 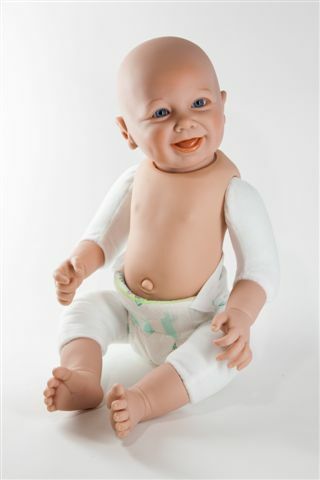 Our dolls range from a 15“/38cm premature baby with a weight of 2 pounds to a 4 year old child weighing 35 pounds. As you can see, almost every size and weight is possible. What purpose do you need the doll for? What size and weight doll are you looking for? Do you have preferences when it comes to skin and eye color? What quantity of dolls do you need? Should the doll be dressed? Do you want your company´s logo be printed / embroidered on the onsie / clothing? Should the doll have a vinyl body, e.g. for massage dolls? 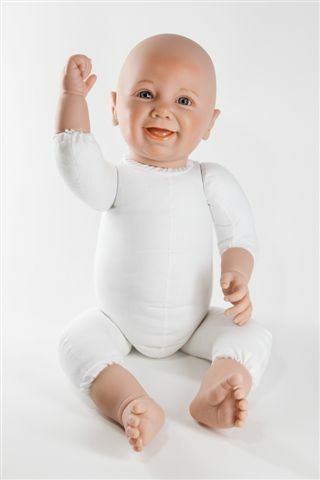 Should the doll have short, ¾ or full vinyl limbs? All our dolls and their components are made in Germany. The vinyl and paints we are using are complying with the European safety standard for toys and are phtalate free. Please do not hesitate to contact us.We are looking forward to hearing from you.